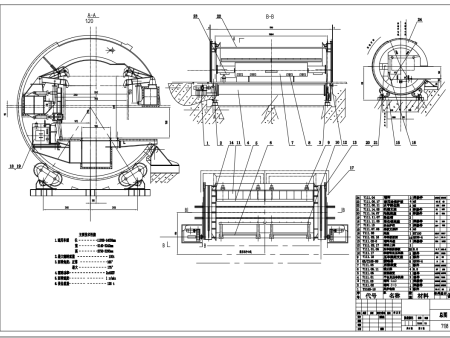 Configuration: AC power, motor drive, compatible with diesel generator, independent hydraulic station. 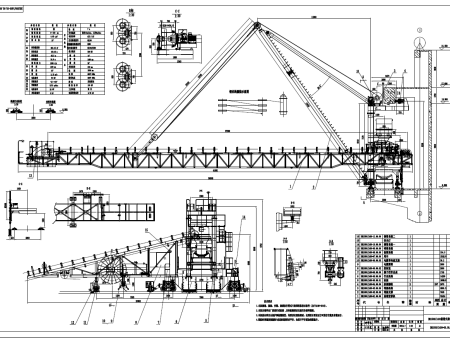 Loading mode: bucket-wheel stacker with total 8 buckets, each with capacity of 0.1m³; wheel rotation speed is 8-10rpm; stacker radius is 11.5M at the height of 6M based on pitch stacking; belt of 1000mm width is used for the stacking arms conveying system at speed of 2.5m/s. Offloading arms: fixed arm is 9M long, stretching arm is 6M and pitching height of stacking arm is 6-8M. 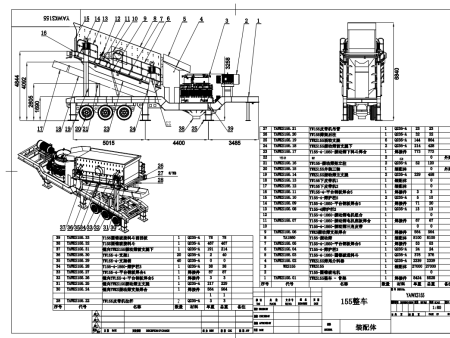 Driving mode: crawler driving, hydraulic motor drive, speed at 3-20M/m. 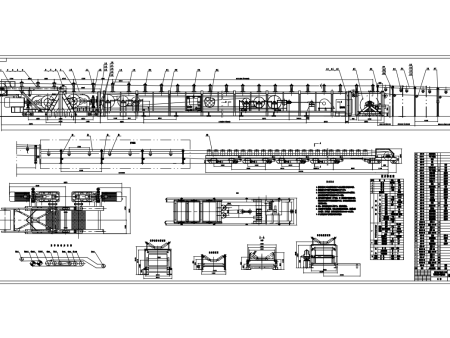 Equipment features: one person ( or non) consecutive loading, huge loading capacity, high efficiency, less loading dust, AC power, feasibility, reliability and low production cost.